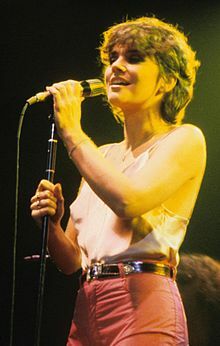 Linda Ronstadt (born July 15, 1946) is an American retired singer. She was born in Tucson, Arizona. She has won ten Grammy Awards and many other awards. Ronstadt has never married. She has an adopted daughter and adopted son. She has been diagnosed with Parkinson's disease. Her autobiography was published in 2013. ↑ "Linda Ronstadt Grammy Nominations and Awards".